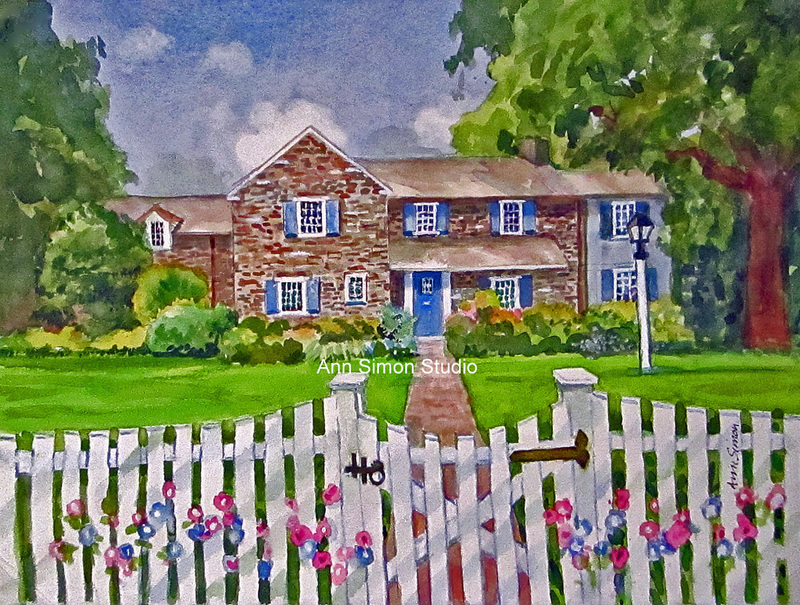 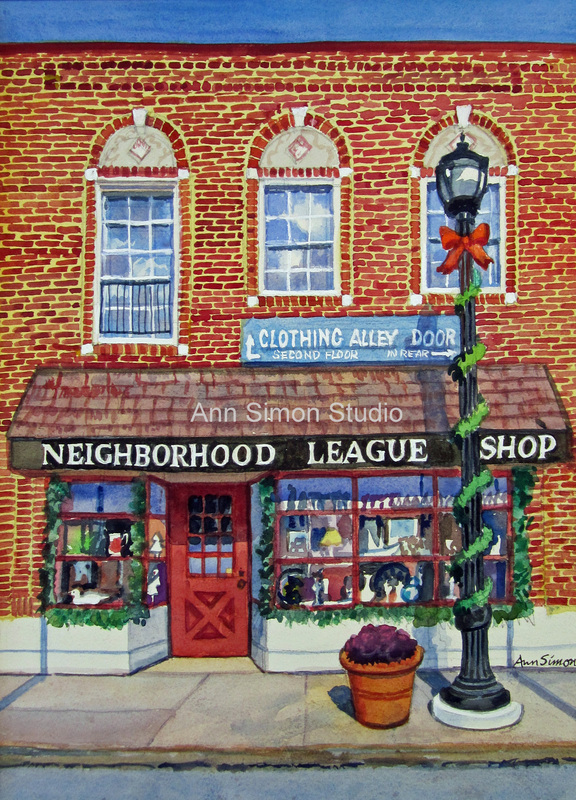 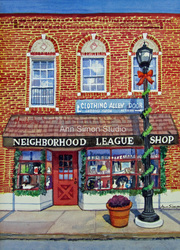 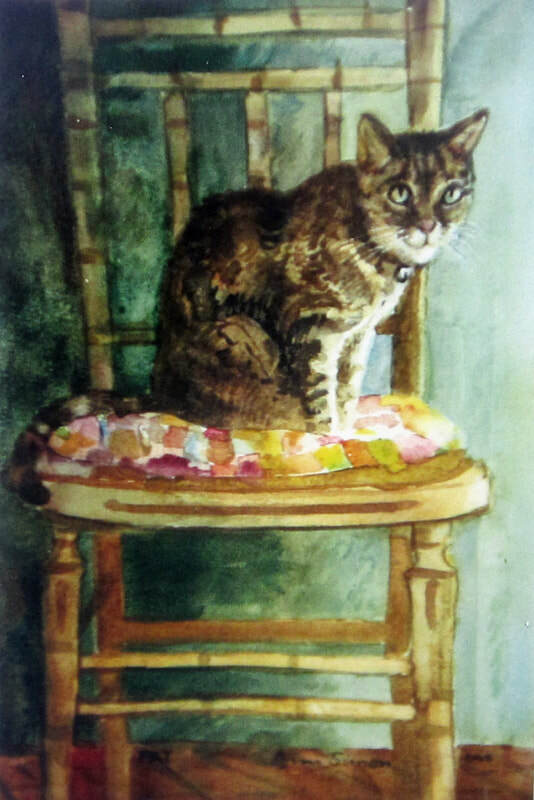 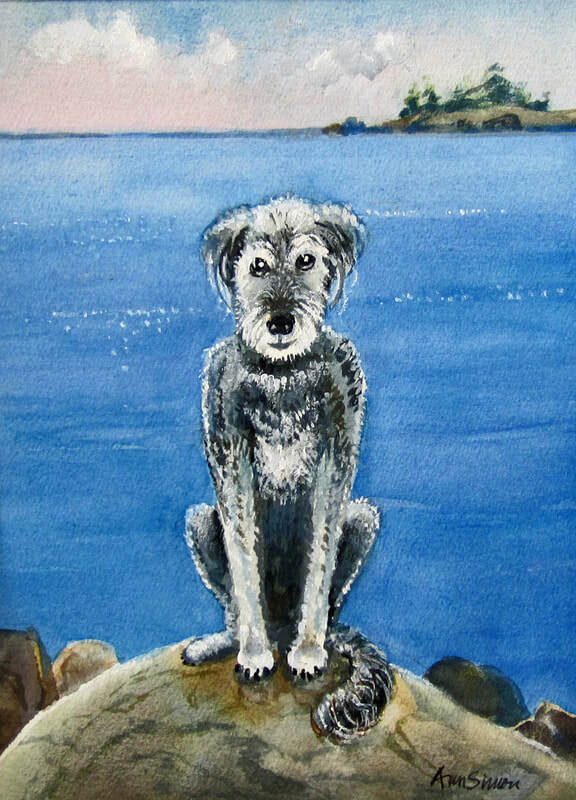 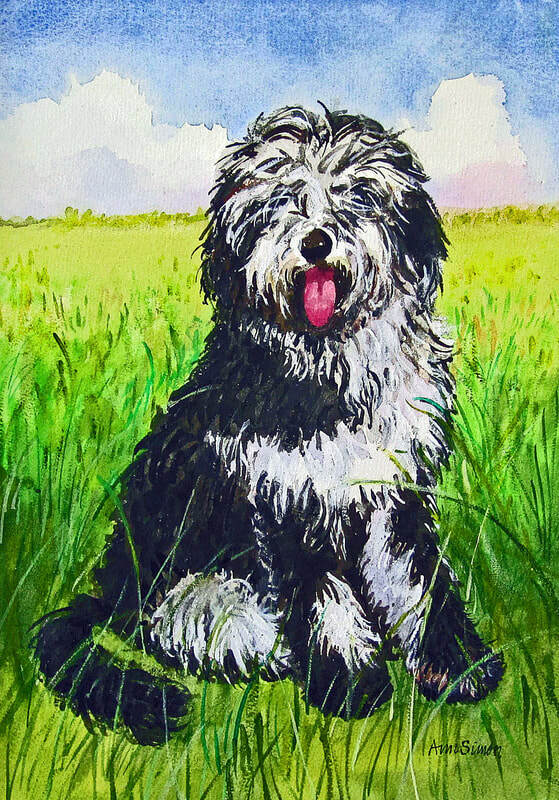 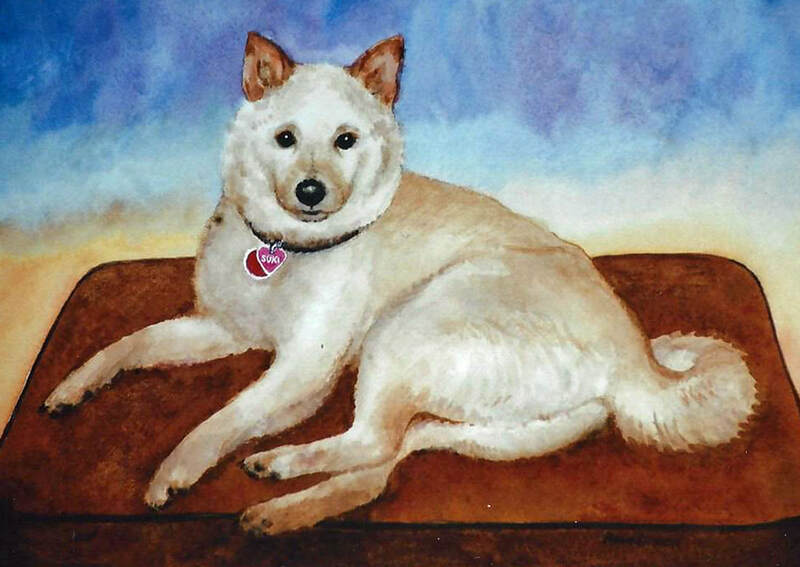 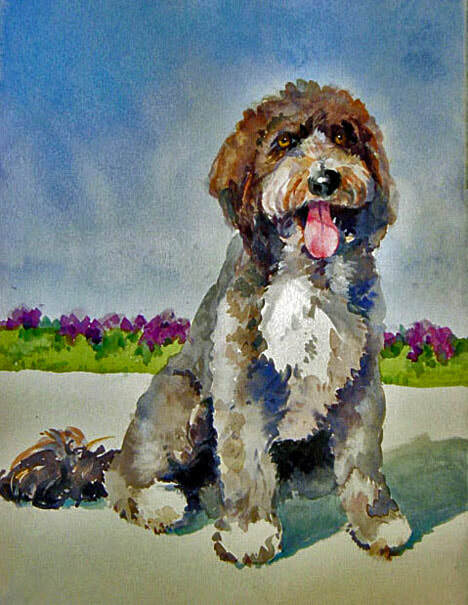 Ann welcomes your commissions of almost any subject. 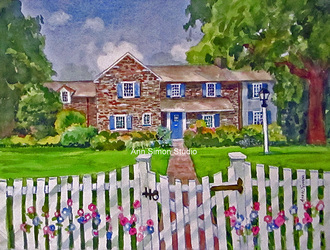 Houses, gardens, and pets are among the most popular. Here are a few examples. Contact Ann for more information regarding sizes, prices and expectations. 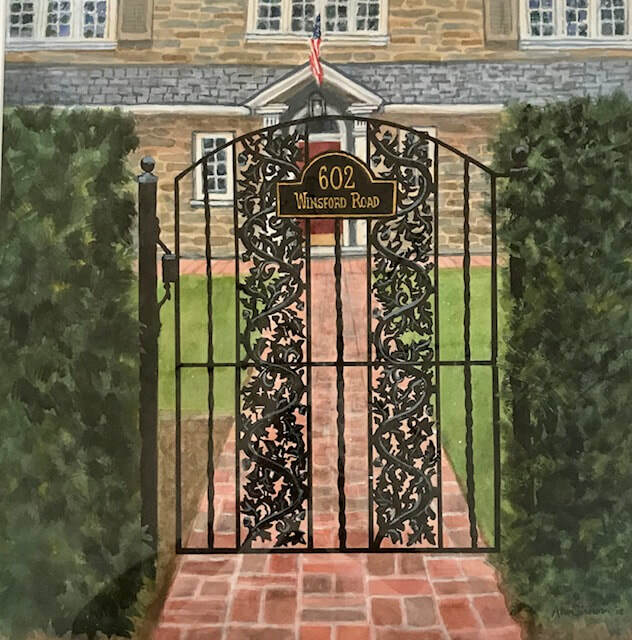 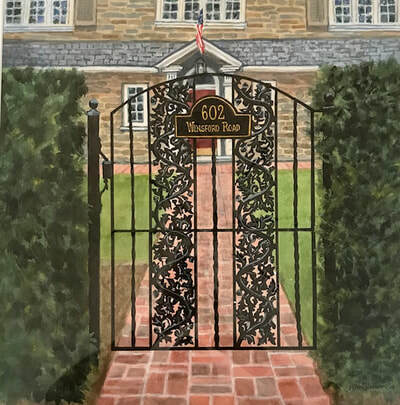 One of Ann's newer commissions is of the Stephen and Sandra Sheller 11th Street Family Health Services Center at Drexel University, Philadelphia, PA. Painting commissioned by the Drexel University School of Nursing as a gift to Stephen and Sandra Sheller. 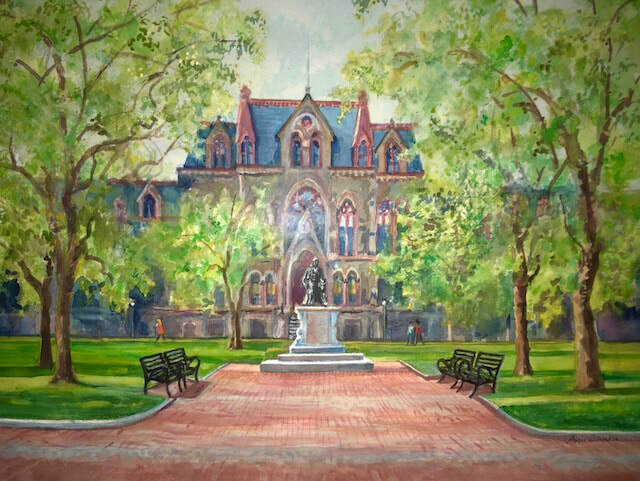 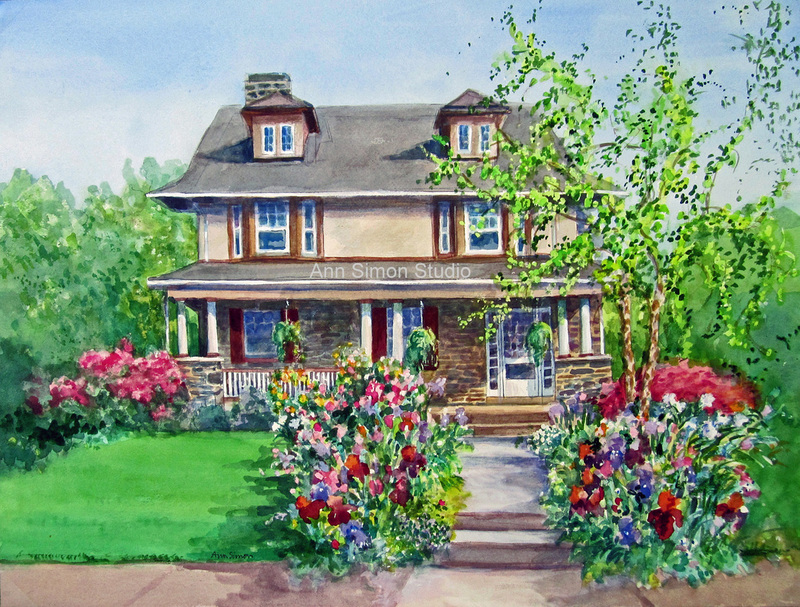 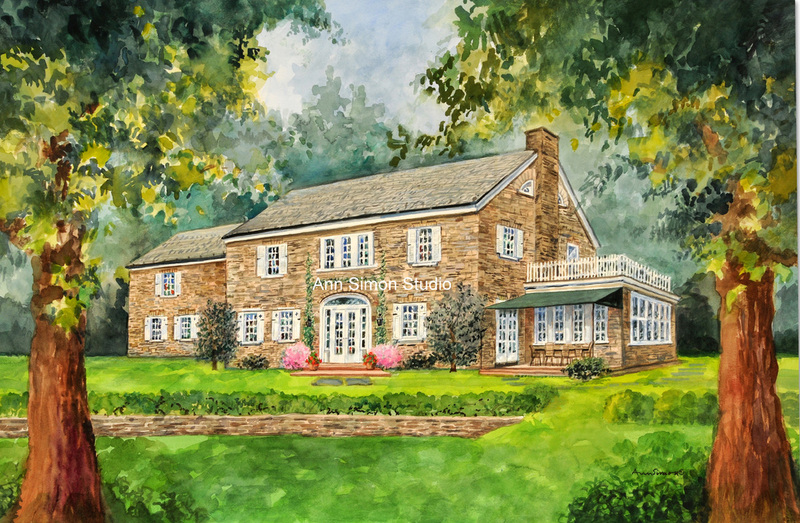 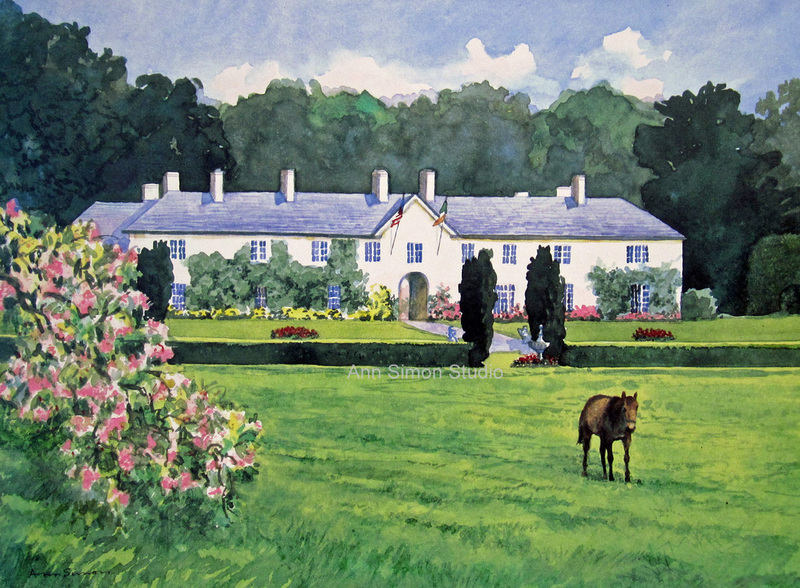 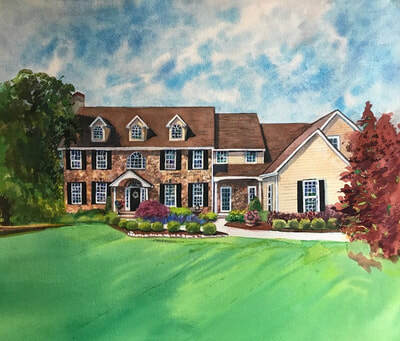 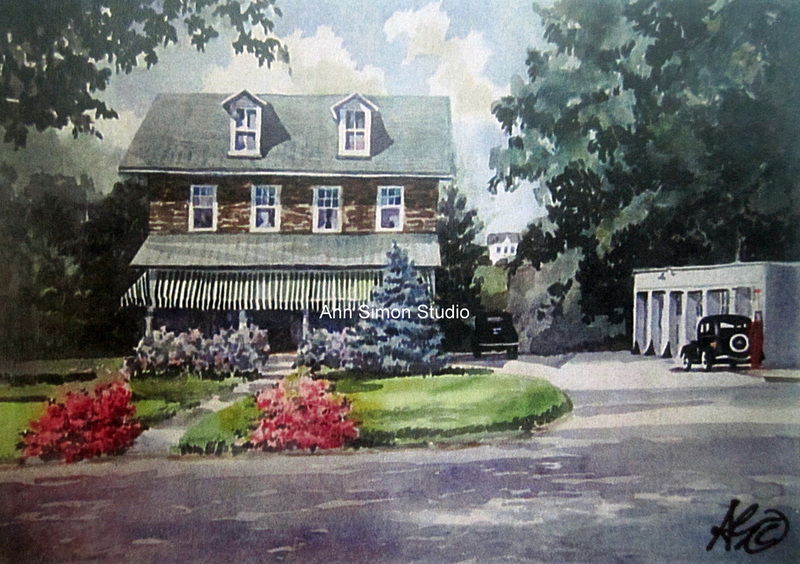 Ann was commissioned to paint some of Episcopal Academy's buildings. 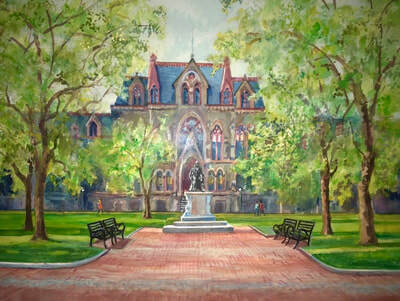 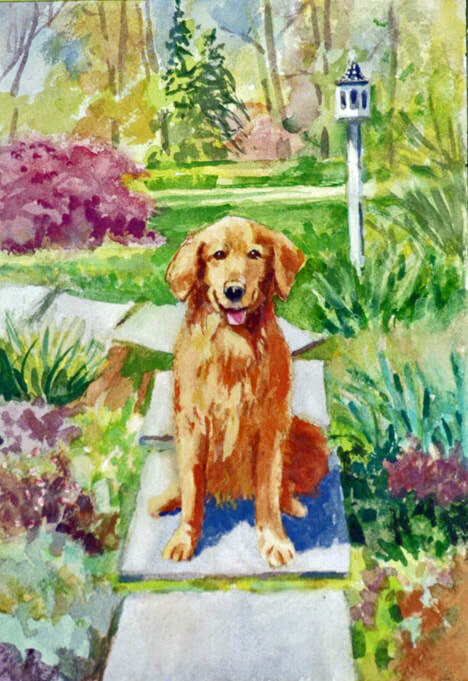 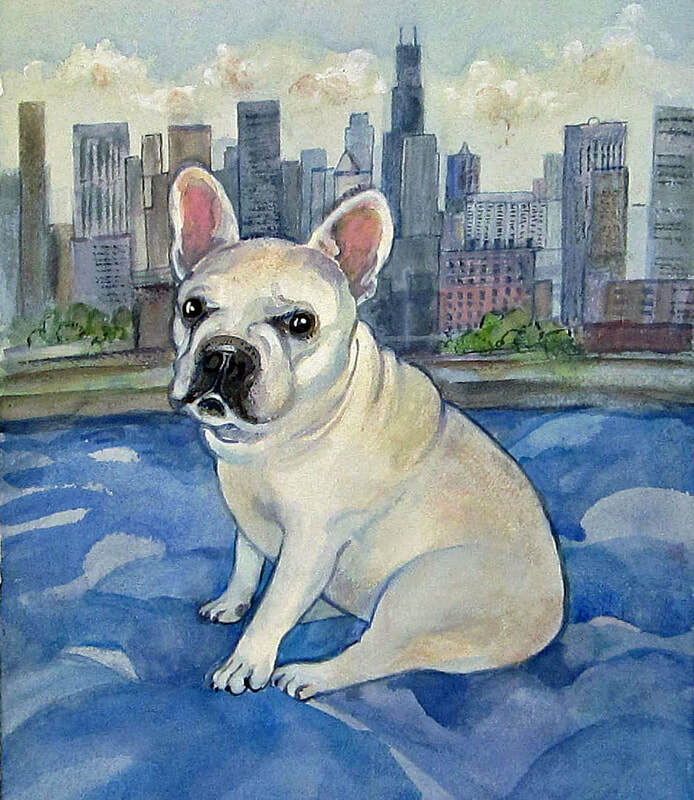 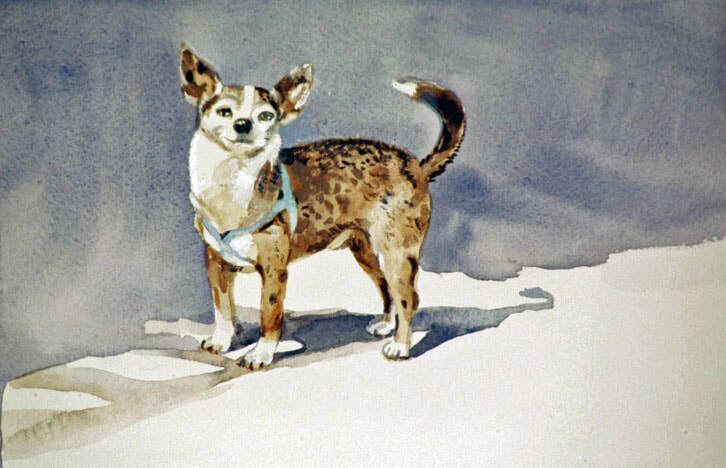 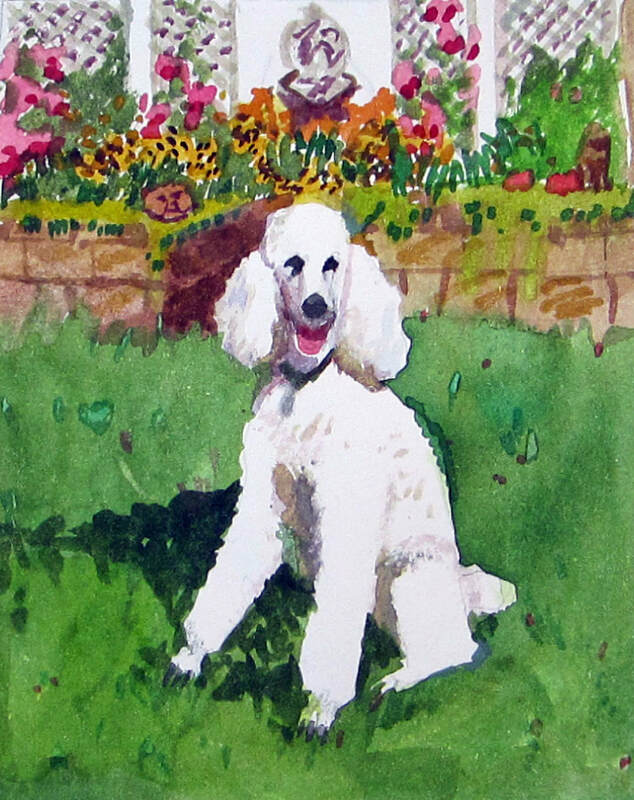 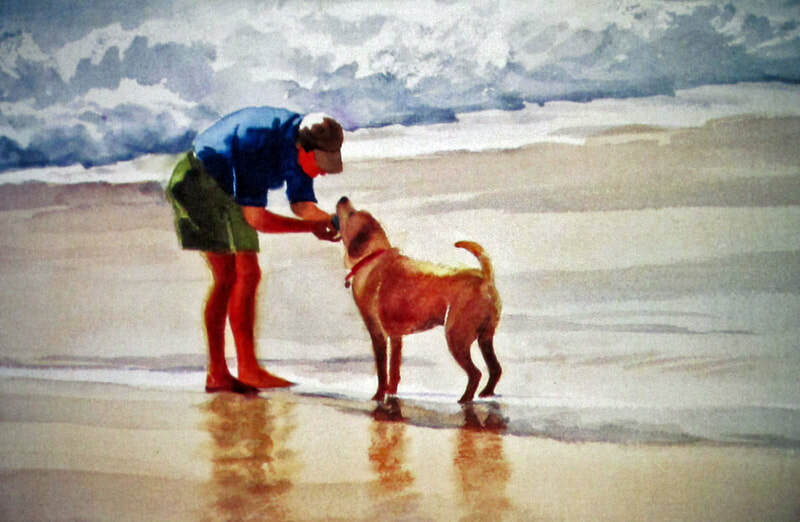 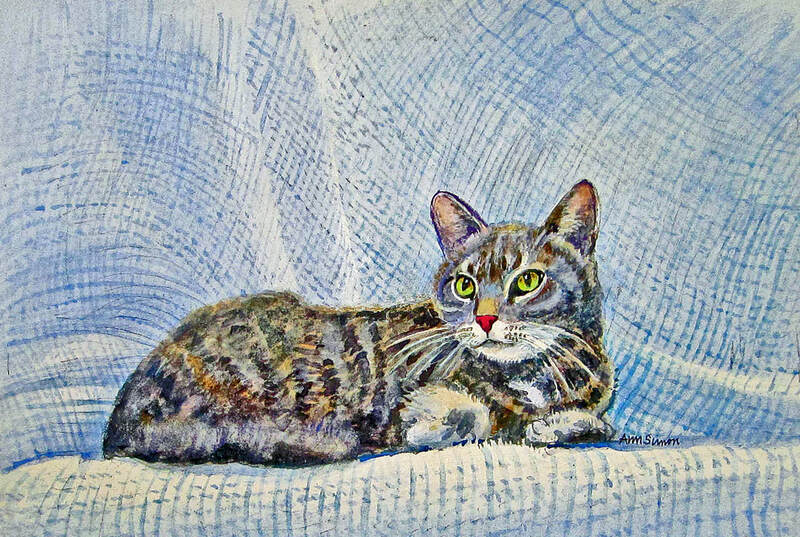 This commissioned painting was given to a long-time teacher upon his retirement from Episcopal Academy. 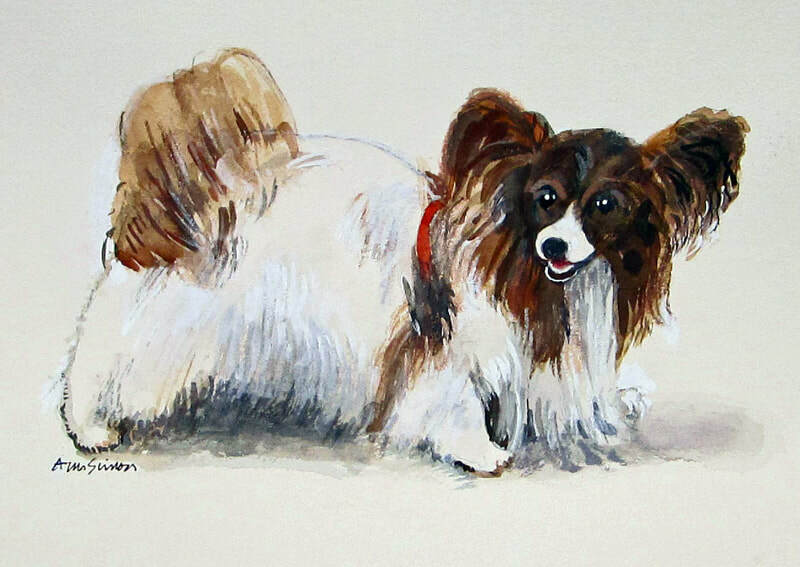 Ann was also commissioned to paint these adorable siblings. 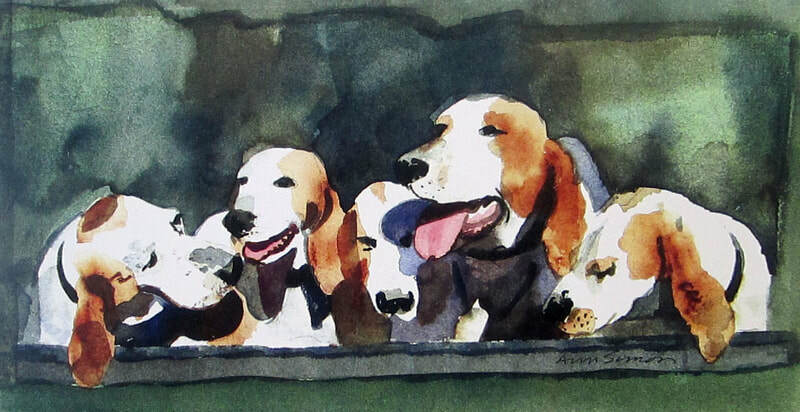 Their mom gave the paintings to her husband for Father's Day.